Featured: Successful Hudson Valley B&B-Live your Dream! Ideally located 2 hrs from NYC in the heart of the Hudson Valley just north of Rhinebeck, near Hudson. Truly Unique Property that would make a FANTASTIC B&B!! Property offers Two Historic homes, Coach House and a Barn with a beautiful pond view! One of New England's best known properties, Captain Lord Mansion is located in Kennebunkport, Maine in an ideal location. Located in a beautiful corner of the world, the Berkshire Hills of Massachusetts. This Berkshire Country Inn for sale is minutes from the village of Stockbridge, famous in song, history and the iconic art of Norman Rockwell. Sixteen room Vermont country estate Inn for sale is located just between Bennington and Manchester, VT, on the “Shires of Vermont Byway” (Historic Route 7A). A spacious country inn with commercial kitchen, 8 guest rooms and nicely appointed owners rooms. Circa 1806 Waitsfield, Vermont, bed and breakfast complete with a Main Inn (the original farmhouse), two outbuildings and a barn located just off of picturesque Route 100 in North Central Vermont. This 6 bedroom 6.5 bath home was custom build to be a bed and breakfast in 2002. This is a 40 acre picturesque property is home to a certified organic vegetable farm that could support a farm to table concept. The property is 4 miles from a Division 1 small liberal arts college. Great opportunity to run a bed and breakfast that is well established with great ratings! Prime location for the continually growing Yosemite Park tourism market. This one has it all! A gorgeous organic parcel of land with ponds, orchards, a restored, circa 1850's threshing barn which houses the cattle, a machine shed and the main home! 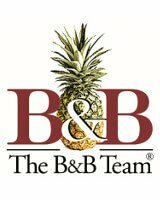 Award winning, turn key, bed and breakfast business. Country Home or Business? You Decide. Situated on a quiet country road in beautiful Adams County, Pennsylvania - minutes from Gettysburg National Battlefield. Potential B&B or event destination situated beautifully on a 107+ acre farm in upstate South Carolina --- ponds, hunting, gardening, and more! Magnificent estate on nearly 70 acres with 9,000+ sq ft home, resort size pool, walking & riding paths, large pond, barn, outbuildings, fenced corrals. AMAZING 4100 sq.ft. home, B&B, and 9000 Sq.Ft. pristine Barn Wedding and event venue. Comes with weddings booked into 2019, typical annual income well over $100k. 800 feet of waterfront- Must see! CAPE COD:Historic 6 Room Inn overlooking desirable Rte. 6A in the Mid Cape town of Barnstable.All rooms upgraded with en suite baths. Spacious owner's quarters in a separate building. Excellent location and strong financials make this one of the Cape's finest. John McDermott Broker. Historic B&B with over 3600 sq. ft of living space. Grand foyer with majestic staircase, massive woodwork, pocket doors, hardwood floors, fireplaces & 9’ ceilings. 6 bedrooms w/6 private baths. Situated on 2.3 acres, this offering includes a barn & outbuilding. Private living quarters are available. American Federal brick and stone home which is both a private home and a two suite bed and breakfast. Located in the heart of Historic Hermann Missouri. The beautifully restored J. D. Thompson Inn Bed and Breakfast is ideally located on the New Jersey Shore in the heart of the historic town of Tuckerton New Jersey, near the Tuckerton Seaport, Long Beach Island beaches and mainland nature areas, perfect for a quiet getaway. The Firelight Inn on Oregon Creek is an elegant turnkey Bed and Breakfast retreat located in the heart of Duluth’s historic Congdon neighborhood. Lawrenceburg Bed and Breakfast in the heart of bourbon country. Turn key and ready to go. Five time Trip Advisor Certificate of Excellence, 2018 Trip Advisor Hall of Fame B&B. This beautiful home boasts large rooms with white and red oak hardwood flooring throughout. A fully furnished, turn-key business with a professional website and excellent reviews. This charming 4,298 sq ft New England Colonial accommodates 14 guests and offers 7 bedrooms with en-suite bathrooms + 884 sq ft charming cottage. This is a versatile property that allows for multiple uses. Once a thriving B&B, this significantly historic 1863 home surrounded by ancient oaks and pecans sits on 12.9 acres in Round Top, Texas. Additionally, accommodations include an 1830's 2-story 1-bedroom log cabin w/fireplace, a one room cabin with bath and an entertainment/party barn. UP AND COMING! We originally purchased this property for a wedding event facility/ Bed & Breakfast. We had the historic house gutted of it’s 1870s cardboard wall coverings,nob and tube wire, old iron water pipes and after the much needed work and reconfigured stairs etc. A divorce forces this sale! Tired of the Rat Race? Come home to this Gentleman's Farm, formally equestrian, on 8 acres of rolling meadows, perennial gardens & tranquil views. Victorian Inn with gift shop. Historic two story Carriage House. Three Bedroom Home Back of Property. Owner Manager Apartment above shop. Located on town Green. Approved Bed & Breakfast on 29+ Acres... Zoning is Village District. (Zoned for Commercial & Residential) The only beautiful rolling land in Lower Windsor. Are you looking for the perfect house for an event venue? Look no further than this Greek Revival home, Circa 1830's beautifully maintained with detached guest house, in-ground pool, facilities for horses, and other out-buildings. This property is on 11.3 acres of beautiful rolling Bluegrass. 40 ACRE RETREAT! Pasture, woods, 3 stocked ponds, 4 bedroom home plus 2 private cabins! Rustic elegance awaits at Ponder Cove! 90+acres with a 4000 soft main house with 4 master suites, a barn on property, and a woodworking shop. Zone RA for limitless possibilities! The historic town of Welfare, Texas is for sale. The town and its multi-purpose 17 acre property is in the heart of the Texas Hill Country. It's located 25 minutes northwest of San Antonio, Texas in Kendall County, one of fastest growing counties in the US. Its been in operation for 18 years. The High Pointe Inn on Cape Cod offers a unique combination of luxury, romance, and comfort in the historic village of West Barnstable, Massachusetts. Situated in the heart of Cape Cod just off scenic Route 6A. The elegantly restored Calmore Estate on 2.6 acres, with first floor apartment and 7 other beautifully appointed bedrooms, 4 of which have ensuite baths. Authentically renovated country kitchen and spacious dining room. Separate post & beam barn/shop with attached heated greenhouse, organic gardens. Enchanting 5BR/5.5 Bath lovely American Gothic centennial home, circa 1872. Quiet countryside setting located 8 miles from Crystal MTN Resort.